This is the iPad headphone audio system, containing the black headphone jack and microphone. This part is ideal if more than one fault exists with your headphone socket or mic. 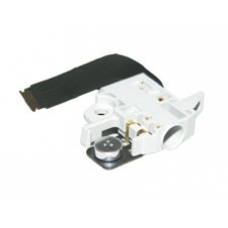 * Original Apple iPad Spare Part.